One of our favourite drinking reds from our recent Italian offer. 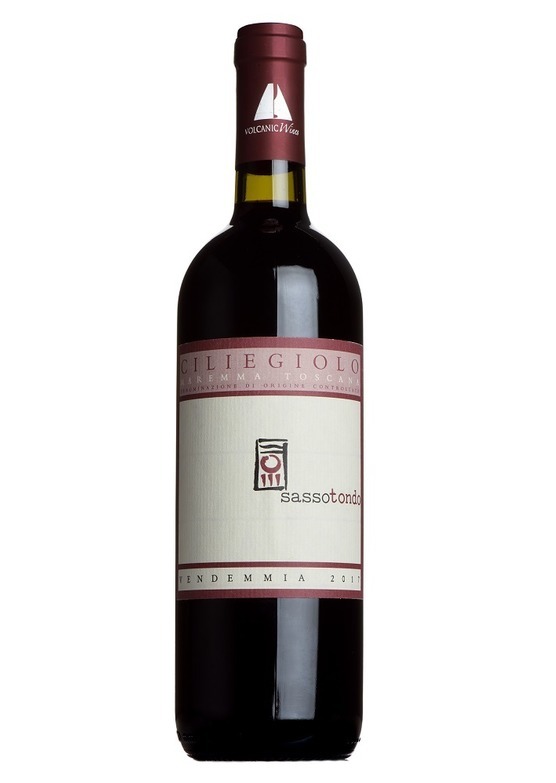 Hailing from the Maremma region of western Tuscany, the source of many of the region's legendary 'SuperTuscans' - Sassotondo's Ciliegiolo is a highly drinkable red, bursting with flavour. With its luscious black-fruit warmth and bonfire-smokiness and spice, this is a perfect winter warmer - the palate is dark, smooth, plush and almost soothing. Substantial and richly-textured, this really comes into its own with food, its morello-cherry acidity makes is a great partner for salamis and cured meats as well as hard cheeses. Big, hearty winter dishes as well - anything with red meat or mushrooms.